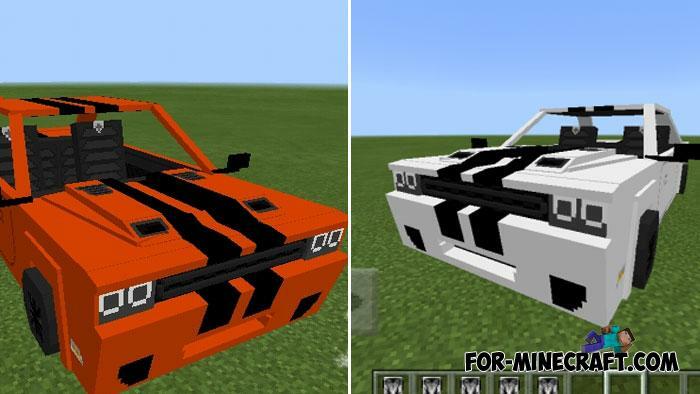 Get one of the most popular muscle cars in Minecraft PE without paying a cent. 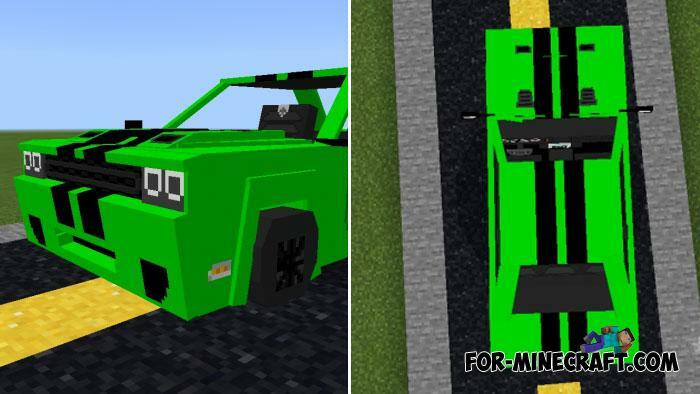 Do not even think about Shevy, this is the top Dodge Challenger in the SRT version designed for real drag and very fast races. The main difficulty will be that roads are hardly built in your world, so you have to take care of this, otherwise your every trip will be a test of strength. If you do not like lime, you can choose between the other four colors. You can also put one passenger inside the car and drive to your destination. This can be any distant objects or ordinary trip. Gasoline is not required, no carrots on sticks, you just sit on the driver's seat and start moving. Using the search you can easily find other cars for MCPE, as well as helicopters, airplanes and other flying vehicles. 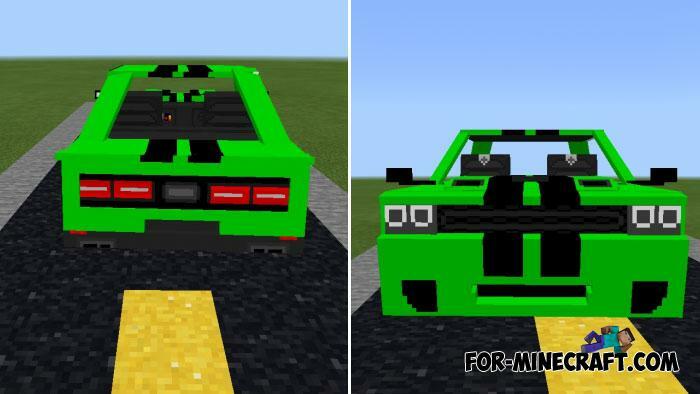 How to install the Challenger SRT Addon? Tetris Dodge map for Minecraft PE 1.1/1.2+SG team makes amazing maps that are not like the others and this time you will find yourself in a close arena..